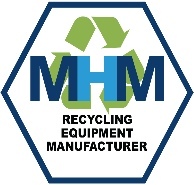 MHM Recycling Equipment are delighted with the new look website. It is easy to navigate and get the information you require without any fuss. We will be constantly updating the site with up to date news from all across the recycling sector. Not forgetting new products or offers that we bring to the market. Make sure you sign up to our email list, this way you will be kept up to date at all times.